Our Offer Holder Days are a chance for you to get a real first-hand experience of the School, the University and the city. Accepting a university offer is a big decision and you'll need all the information available to help you make up your mind. 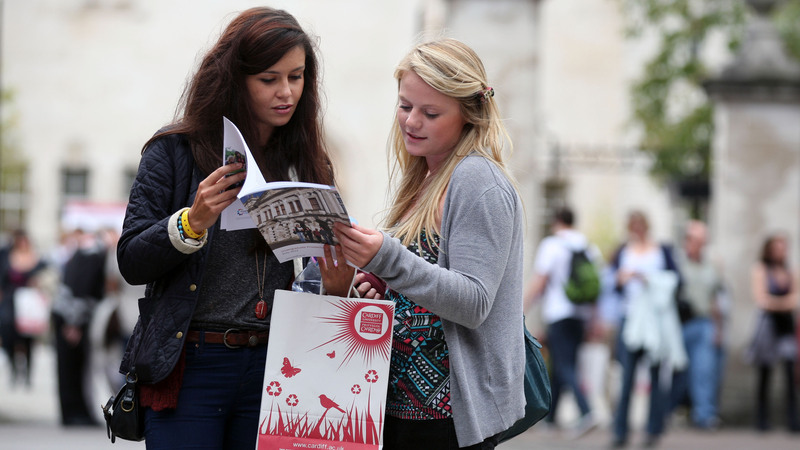 Offer Holder Days are specifically designed for offer holders and allow you the opportunity to find out more about studying at Cardiff University. All applicants holding an offer for a Mathematics degree at Cardiff University are invited. You'll have an opportunity to meet School of Mathematics staff and current students to find out what being a student with us is like. Our Offer Holder Days normally start at 12.45pm and finish around 4pm at the latest. There will be presentations providing information about the various Mathematics degrees we offer, careers, living in Cardiff and accommodation. There will be an opportunity to see the facilities within the School of Mathematics and the Students Union. There will also be a parents panel where parents can ask the Admissions Tutor and current students questions about any aspect of university life. Register your attendance at an Offer Holder Day by selecting a date to visit. Please note that spaces on each day are limited. After registering you will be sent further details and instructions close to your selected date. If you have any questions please contact Caroline Frame-Morgan at mathematics@cardiff.ac.uk. I have found the Offer Holder Day useful. I didn’t know much about the course before but now I have found out mostly everything I need to know. I did come to the University Open Day too but it was more about life on the campus and University in general. I would recommend the School Offer Holder Days to find out more about the course.